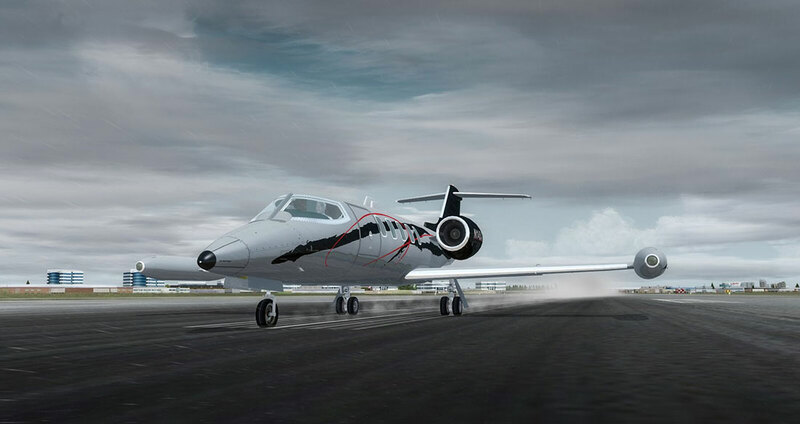 Lear35 Immersion Package is an effect package tailored with the utmost attention to details. 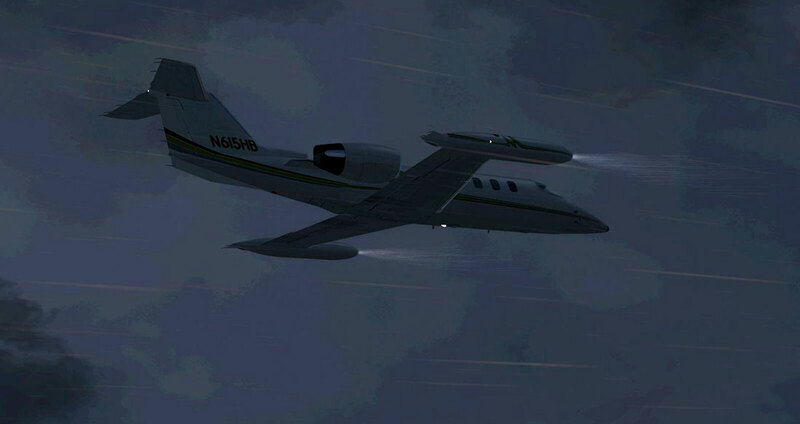 The Flysimware Learjet 35 is one of the most underrated aircraft in the flight simulator community. It is also one of the most complex business aviation jet available to flight simmers. For that reason, we decided to take a peek into the product and create an amazing immersion package that will suit the jet and reach your highest expectations in terms of quality. IMPORTANT NOTE: We provide ONLY a serial key with the purchase of this product. When the user activate the serial key on the fsfxpackages.com website ( account required ) the product will be available to download. Once the user have downloaded and installed the software futures updates are automatically prompt to the user. Performance is always our top priority. We are well-aware that our customers are looking for utmost realism and seek not to jeopardize performance along the way. As such, Lear35 Immersion has been tested thoroughly and the memory usage of our product is next to nothing. With regards to the frames-per-second (FPS), we have optimized Lear35 Immersion in order to provide a high quality FPS-friendly product. Our obsession with details and optimization is pushing us to design products with a next-to-none impact on system performance. We believe you will be impress by the performance with PrecipitFX! We optimize our products in such a way that we are able to create effects without a significant drop in frames per second (FPS). Our upcoming packages will keep the same line of thoughts! The Lear35 is an old yet very powerful little corporate jet. The engines jet wash effects were therefore quite important to truly give the feel of the engines’ thrust! By adding 8 levels of engines jet wash effects on water and snow, we succeeded at provoking a sense of awe for the power these two little engines can harness! Hence, we have an effect which is more visually appealing and definitely stunning to look at! 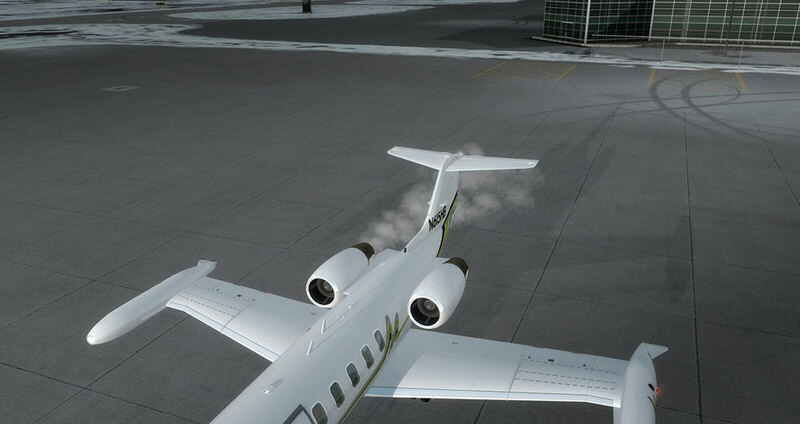 Furthermore, we also implemented 4 levels of engines reversers jet wash effects. Lear35 Immersion Package comes with an incredible set of contrails which behave exactly how you would expect them to do! Same size, same behaviour: That’s our promise on every effects we engineer for you, contrails included! Furthermore, they are less resource-hungry than the default ones to make your flights at FL450 a smoother experience! We have pushed the boundaries of what’s possible a little further by introducing up to five levels of contrails’ depiction. That’s what we could call elevating standards to service ceiling! There is nothing more exciting than to take off or land into rain! Hence, we pulled our energy and know-how to bring into the Lear35 volumetric rain for landing lights and recognition lights. 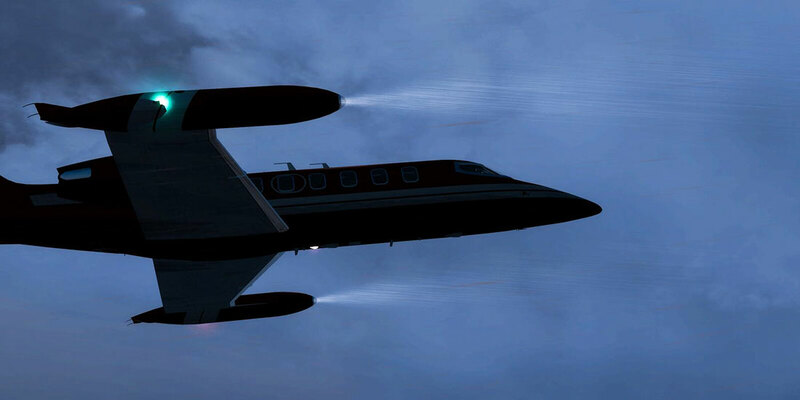 Given the particularities of the Flysimware’s Lear35 and the way the landing lights are positioned, we were able to make the effect visible from the cabin and the flight deck! Resized, reshaped, refined. The effect now suits the shape and curves of the Lear35 to near perfection! 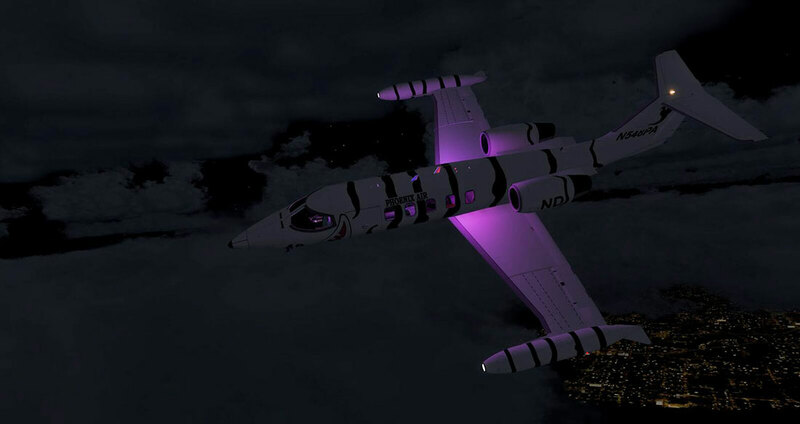 The volumetric lighting technology looks absolutely amazing with the Learjet 35! The Lear’s four landing lights truly give a sense of immersion on CATI, II, or III approaches. Yes, the volumetric lights are visible from the cabin as well as from the flight deck. They will definitely change the way you fly the Lear! The Lear35 is not only able to cross the pond, it is also able to cross ponds on taxiways and runways, no puns intended… For that reason, we decided to go ahead and develop 9 different intensities of wheels spray on water and snow effects. That’s 9 effects to make your taxi rides more enjoyable than ever! We decided to implement some 1980s technology! As a Lear35 pilot, it’ll be Throwback Thursday all day everyday! We call it the “retro mood lighting”, the ancestor to the modern mood lighting! So just pump up the jam, pump it up and get the party started! Touchdown effect, engine start-up smoke under cold conditions, jet exhaust gas are also included in the package! 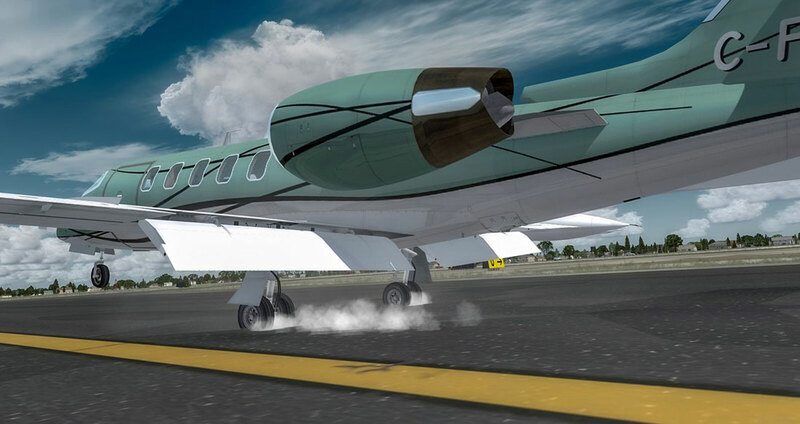 Lear35 Immersion is compatible with all popular texture enhancement add-ons and weather engines available for Microsoft Flight Simulator X and Lockheed Martin Prepar3D. Our new home-made control panel, VFXCentral, now renders the installation process much easier and enjoyable. It also allows to customize your installation of Lear35 Immersion along the way. Furthermore, updates will be provided through the control panel and will include all your FSFX Packages under one roof. Our goal with this product is to extract the beauty of the weather interacting with the aircraft and bring those effects to flight simmers. While doing so, we optimized every effects to make the job easier for virtual photographs and video producers. 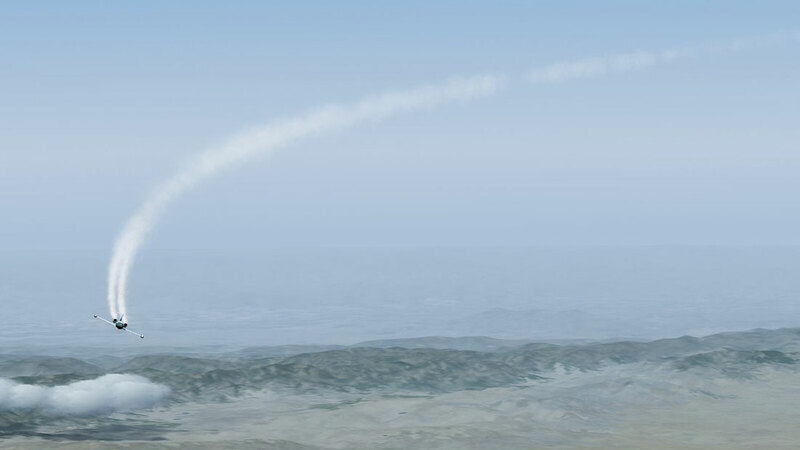 Visual effects can be displayed in a slow motion environment without spreading apart like they usually do with default effects, making it ideal for today's Flight Sim recording techniques. An active Internet connection is required to install! Install instructions can be found here. Related links to "Lear35 Immersion"
Further products by OldProp Solutions Inc.